Enjoy every journey more in the 2019 Nissan Versa Note. This four-door model gives you plenty of room for five with modern amenities. Select either the S or SV trim. Bold styling is seen throughout the 2019 Nissan Versa Note. This model offers an aerodynamic design with striking details. Distinctive taillamps leave a lasting impression while the sleek lines create a profile that is always in motion. Sculpted wing mirrors enhance the sporty image. 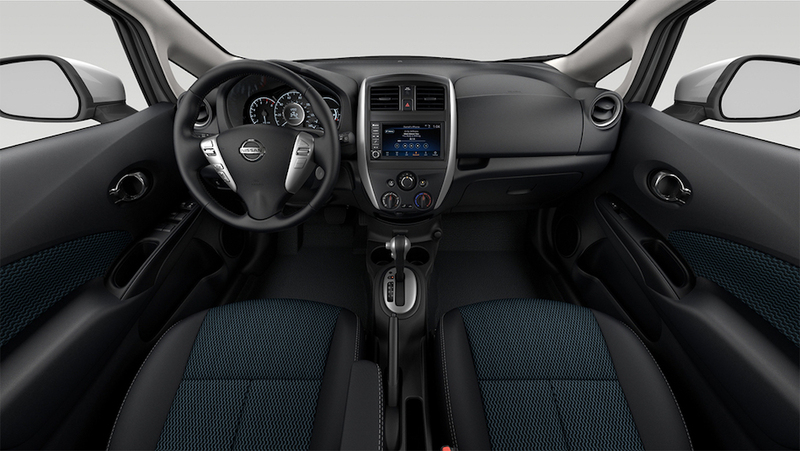 Once you’re inside the 2019 Nissan Versa Note, you’ll notice the contemporary design of the cabin. Premium materials and quality craftsmanship abound with double stitching for the upholstery and chrome accents. Available heated front seats keep you warm on cold days as you grip the leather-wrapped steering wheel. Enjoy everyday convenience with push-button start as you elevate your driving experiences. Bluetooth streaming lets you listen to your favourite playlists and keep your focus on the road in the 2019 Nissan Versa Note. Hands-free communication makes it easy to stay in touch no matter where you go. Available Nissan navigation not only points you to your destination, but it also shows you interesting and fun places along the way while the touchscreen makes it easy to change settings. Enhance the look or function of the 2019 Nissan Versa Note with the right accessories. For instance, a rear roof spoiler can add to the design while improving fuel efficiency through aerodynamics. All-season floor mats and cargo organizers also add practicality to your vehicle. Peppy performance for the 2019 Nissan Versa Note comes from a 1.6L engine and either a five-speed manual transmission or CVT. You’ll appreciate the smooth handling and control that comes with this model. Four-wheel antilock brakes give you confidence in stopping when you need to. Feel good about what the 2019 Nissan Versa Note has to offer. Enjoy peace of mind when you drive the 2019 Nissan Versa Note to any destination. Enjoy driving the 2019 Nissan Versa Note with its exceptional warranty. The 2019 Nissan Versa Note offers impressive style and efficiency while providing performance and safety. Take this car cruising down the highway or wield your way through downtown traffic with ease. Get to know the 2019 Nissan Versa Note and all the outstanding Nissan models at your local Cochrane Nissan Dealer – Cochrane Nissan. Come in to find out about the best deals and latest features as you talk to the friendly and knowledgeable sales team at Cochrane Nissan.